I feel pretty lucky to have a couple of daughters who dig STEM — that’s science, technology, engineering and math, in case you’ve seen the acronym floating around. While there are so many exciting developments in the last few years designed to get girls eager to explore STEM education and all its facets, it’s still a lopsided field; check out even the most progressive schools’ robotics or science clubs and you might be surprised how imbalanced the boy-girl ratio is. Hey, we need you girls! You’re our future! 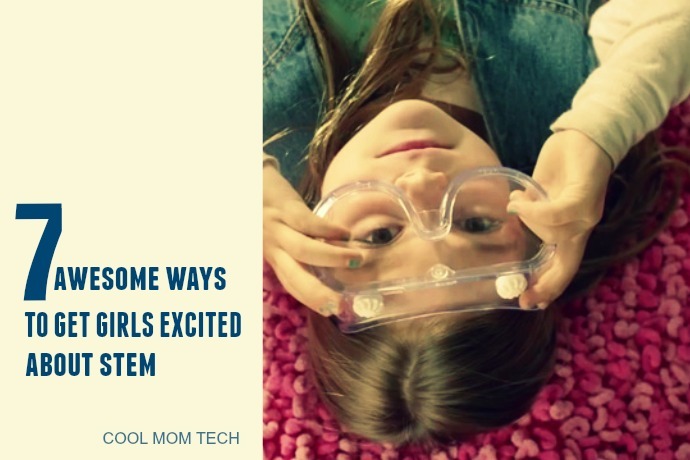 So on behalf of our sponsor GoldieBlox, the wildly popular toy kits designed specifically to build girls’ interest and confidence in engineering basics and problem-solving, we’re excited to serve up 7 very cool, kid-approved ways (no, not flash cards) to get girls excited about exploring STEM education, including the new GoldieBlox and the Movie Machine app. Even if they aren’t self-proclaimed geeks. And hey, plenty of these resources are awesome for your STEM-loving boys, too. If you’re like us, you’ve probably seen a bunch of flyers come home from school — science and chess clubs, competitive math teams, and LEGO building challenges, just to name a few. I love how LEGO and Minecraft are being incorporated into STEM education, especially for younger kids. It’s a great hook since kids already love these properties. Check out programs offered across the country like Engineering for Kids, FIRST LEGO Leagues, Bricks 4 Kidz and Play-Well, or see what specialized programs are offered in your local area. For example, we’ve got a cool Minecraft club and programming classes here in our own small town, so you never know what sort of awesomeness might be right next door. It’s also terrific to see how many long-running programs are still going strong. I remember Math Olympiad from my own childhood, and now my girls are doing it too. 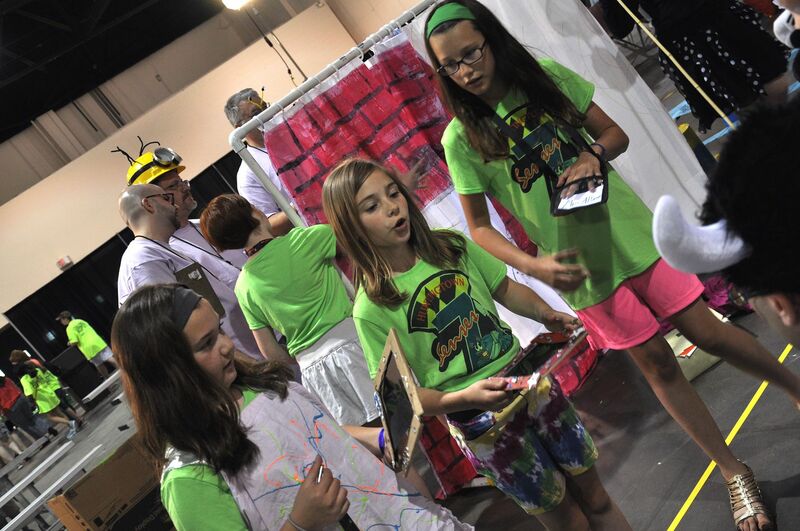 Likewise, the problem-solving team challenge formerly known as Odyssey of the Mind is now called Destination Imagination, and you can start a team through school or on your own. One more option that we think is going to grow like crazy, is access to Makerbot 3-D printers both inside the classroom and out. 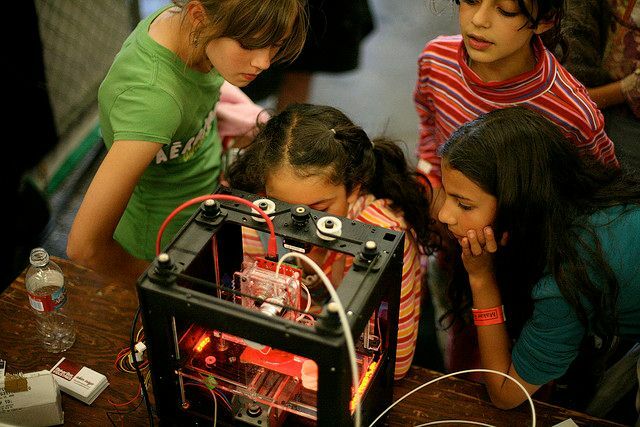 To get kids started, the three existing Makerbot retail shops (New York, Boston, Greenwich) have launched Young Explorers Series of Makerbot classes so kids can learn how to use the software then design and print their own dog tags, jewelry, toys and more. You can check the site for events each month in your own neighborhood, if you’re lucky enough to live near one. We recently covered three of the best STEM education websites: Tech Rocket (like Google Code School for kids), Curiosity Machine, and Science Buddies. But there are so many more. For names you know and trust, check out San Francisco’s Exploratorium website, NASA’s Education for students website, the NOVA website based on the long-running PBS series, and the EPA website‘s student section. We also use How Stuff Works all the time, as a fantastic reference site. 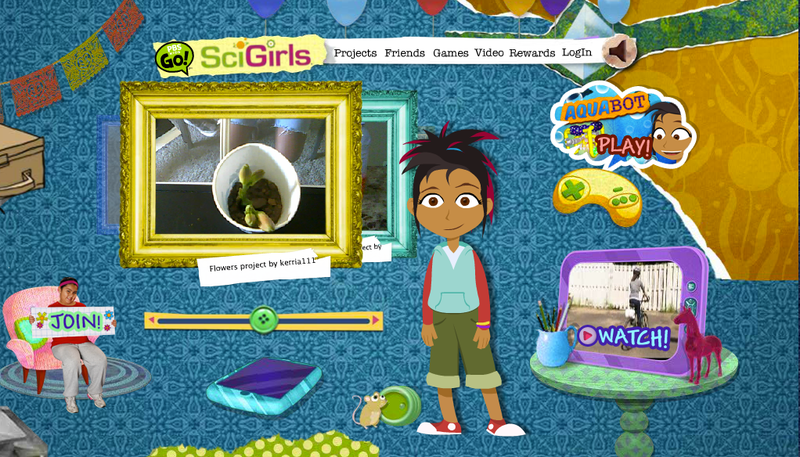 The Science Buddies website is a wonderful way to get younger kids can get comfortable doing experiments so they’ll be ready for the big leagues when they hit middle school and high school. 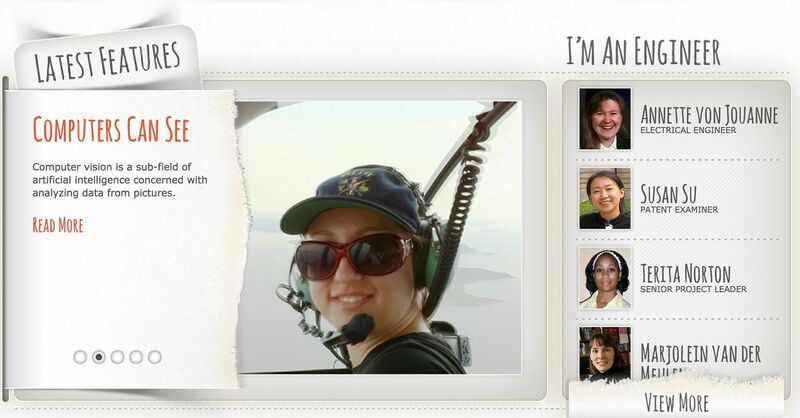 For girls specifically, I’m partial to the Society of Women Engineers and EngineerGirl website (above), since they’re geared specifically toward encouraging girls to explore careers in STEM. 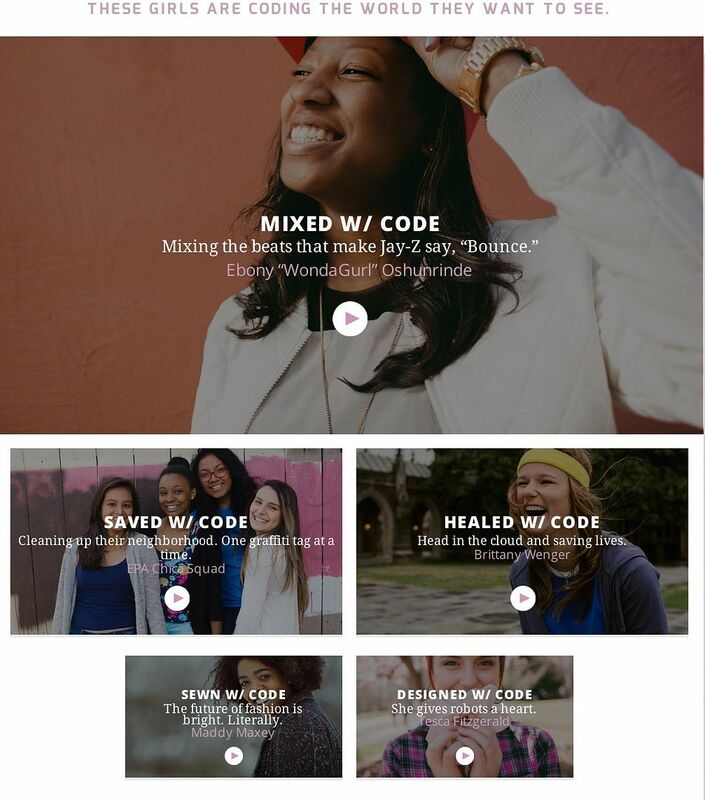 Black Girls Code is also a truly remarkable website filled with resources to help get more girls of color in on computer science. And Google’s awesome new initiative Made With Code was created especially to help a girl believe in herself when she sees other girls who look like her, doing the cool stuff she wants to do too. Check out the site–it’s great fun. We’ve long been huge fans of tech-inspired and science-focused toys that engage kids’ brains. From electronic kits and science subscription boxes to a computer your daughter can build herself (yes, really), our archives are full of cool playthings that can make STEM super fun. 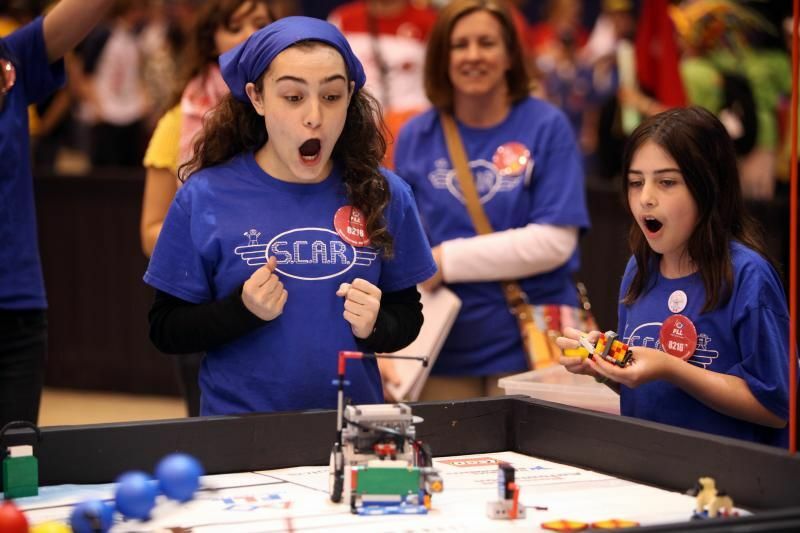 Want more awesome ideas that make STEM education fun? Go see the latest offerings from shops like ThinkGeek and FatBrain Toys, two of our favorite places to shop for toys like GoldieBlox that make kids think. One of the greatest things about museums is that exhibits are always changing, so there’s always something new to see. Kind of like science itself, right? Of course larger cities are most likely to have the biggest museums and more of them, but we’re betting that between the American Alliance of Museums and the Association of Science and Technology Centers, you’ll find something cool near you. Be sure to check the museum calendar for free and reduced-price admission days, too. Of course we love apps, and wow, do our kids love apps too. Each year we round up the very best math and science apps we can find for back to school because while we’re huge fans of hands-on education–building, creating, experimenting–we also see the value in injecting education opportunities into that coveted screen time. Hey, even Angry Birds and Cut the Rope offer up physics and geometry lessons without memorizing formulas, variables, and constants. But we also love finding new ones all year long, and the free (yay!) GoldieBlox and the Movie Machine is just out and getting rave reviews. It introduces girls to the basics of animation with ability to create basic 12-frame GIFs. While the app works on its own, print out your animated frames and it can work in conjunction with the GoldieBlox Movie Machine Toy Kit, a cool way to let kids build their own zoetrope machine. Hey, you might end up with a future Kathryn Bigelow on your hands. Again, we know that screen time is often passive, but why not take advantage of the medium for learning too? We’ve covered several great STEM education shows, like the outstanding new Annedroids on Amazon, SciGirls on PBS, and YouTube favorites like Why With Nye (yes, Bill Nye!) and for younger kids, the Particle Men YouTube channel from the ever awesome They Might Be Giants. I’m also a huge personal advocate for getting a full Brain Pop or Brain Pop Jr subscription. My kids love watching those videos, and I’ve been floored by how much they’ve learned from them. Check with your school district first; they may already have a subscription that you can use. Or hey, just turn on a science show on the Science Channel, National Geographic Channel, or PBS. You might be surprised how much your girls enjoy them, and how much fun it is to watch them together as a family. Plus frankly, it’s a nice change from the less educational reality shows (ahem) that we parents maybe watching too. We’ve come a long way from our own school’s little science fairs. For kids who are ready to take their STEM exploits before a panel of judges, there are some remarkable opportunities to participate in contests and challenges–and lots more for older kids, who can safely handle electricity, heat sources and caustic chemicals. Many of the after-school team activities like Destination Imagination and FIRST finish up their season with competitions and tournaments. Hey, STEM is the new athletics, it seems. Also worth checking out: The Black Girls Code Hackathons across the country, which put girls together to solve problems by building apps. Keep an eye out for their 2015 theme announcements. Also, remember lots of these events are open to the public, so it can be fun for kids to chat with other teams and check out their finished projects. Plus you can get the inside scoop from parents who’ve been there, done that, and see what’s best for your own child. Do your kids love STEM so much that they want to leave home and immerse themselves in glorious geekiness for a week straight? I know mine have. One smart place to start is a college or university near your home, which may offer both day camp and sleepaway camp options. iD Tech, the company behind the Tech Rocket site we love, has a STEM camp program at over 100 universities. The Engineering Education Service Center also lists engineering camps by state, with nearly all 50 states represented, plus Puerto Rico and Canada. And locally, hit your favorite kids’ local activity site (we love Mommy Poppins) and search for STEM camps, or camps by category like science, computers, or engineering. 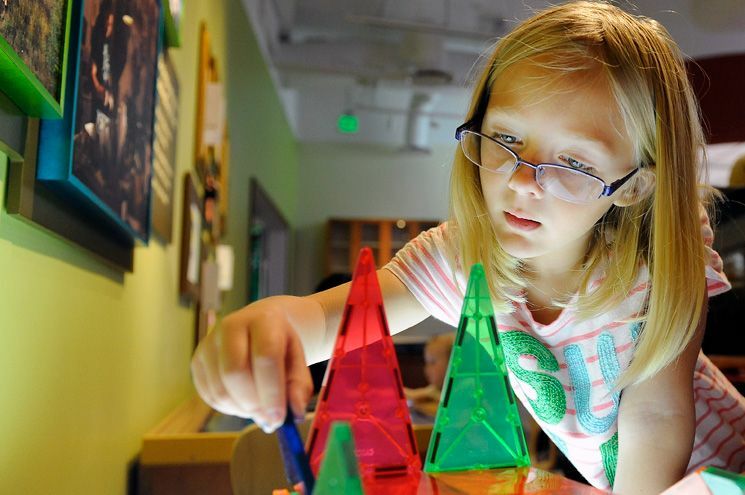 You may find something awesome, like the Curious Jane day camps made just for girls, featuring week-long themes like toy design, gadgets & gear, and spy science. Our editor Liz’s daughter attended a few and absolutely loved them. And hey, now two years later, she’s in her school’s robotics club, preparing to compete in her city’s own FIRST LEGO League competition. So see? You never know where a class, an app, a fun website or a cool building kit can lead. Hope these are some great starters for your own kids. 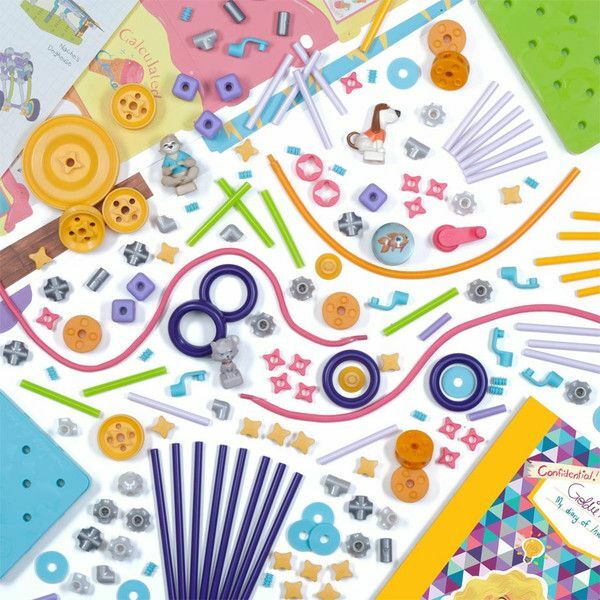 Thanks so much to our sponsor GoldieBlox for helping to get more girls excited about STEM education and opportunities. 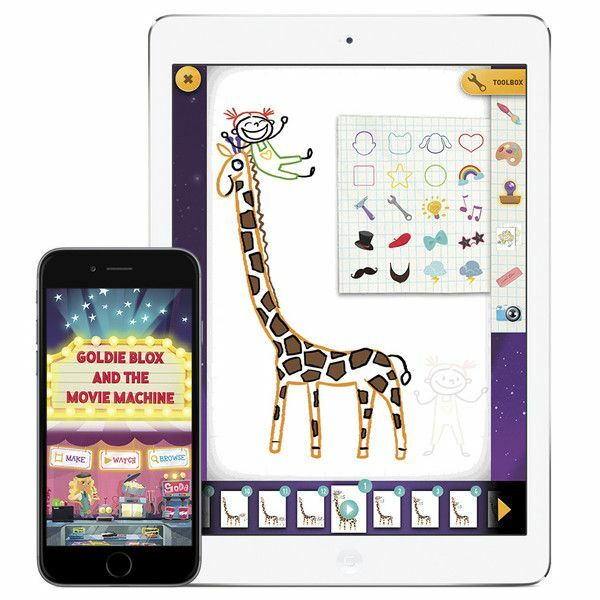 Be sure to check out their new free app, GoldieBlox and the Movie Machine letting kids create their own short animations! I have a doctorate in a STEM field. The “shortage” is wildly overblown and is being exaggerated solely to create a glut and encourage the importation of guest workers on H1-B visas. The commoditization of highly skilled fields such as these should be a red flag to students who are being told that STEM is the answer for a job-starved nation. Its a very cynical move on the part of industry that is going to create a massive glut of workers in these fields. This lowers salaries, but not the mountain of debt these students will be saddled with. What is also valuable is how organizations are creating curriculum based on engaging topics. Starfish Education has developed excellent hands on courses on the Mars Rover and electric cargo plane. Good stuff indeed….head’s up, it’s S.T.E.A.M. that is the most relevant and engaging educational model for the kids and everyone in schools and industry. What a great article. Glad to see their are so many resources out there to get our young girls exposed to STEM/STEAM from a young age. This is exactly what we’re trying to accomplish at Gangly Sister. In a couple of weeks Gangly Sister will be launching a digital comic book called Purple and Nine. 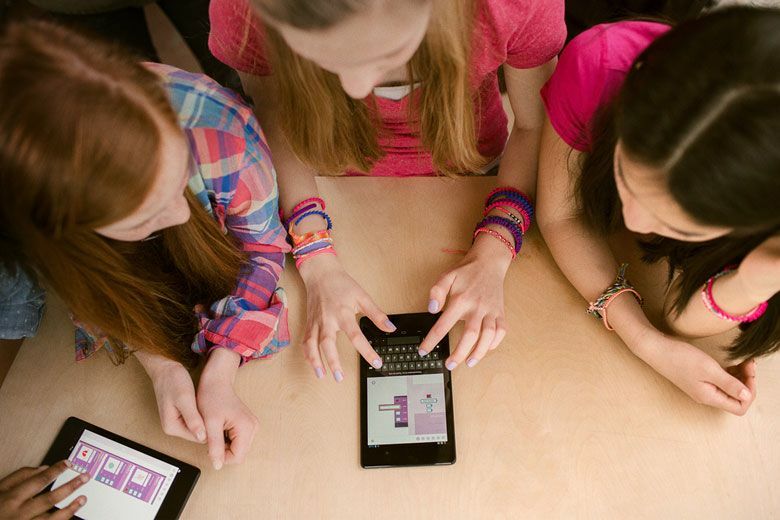 The book evolves around two girls who solve everyday problems through their enthusiasm for technology. Please visit http://www.ganglysister.com and sign up for our newsletter to be the first to know when Purple and Nine is launched.